It’s peach season and I couldn’t be happier! I wait all year long for the peaches to start hitting the local stores, here in Utah, and the time is here! I stopped by the farmers market over the weekend (you’ll see more of that trip on Wednesday!) and picked up some yummy peaches from a local farm. I could go on and on about local produce or our market here in SLC, but I’ll save that for later. Instead, let’s talk about the yummy things you can create with fresh peaches….like peaches and cream ice cream! 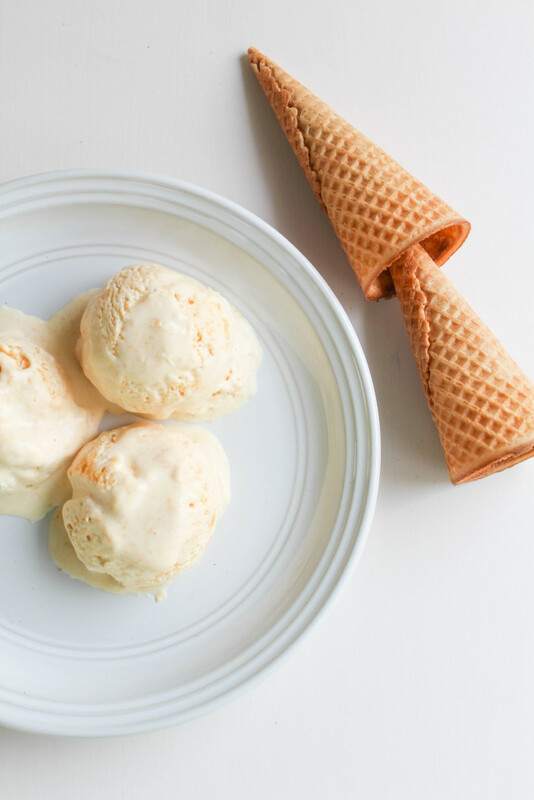 I know the idea of making homemade ice cream turns some people off, especially those that don’t have an ice cream machine, but with this recipe you don’t need one! It takes about 15-20 minutes to make from start to finish, only has 3 ingredients, and is soooo good! The peach flavor is so fresh and the cream flavor can’t be beat. 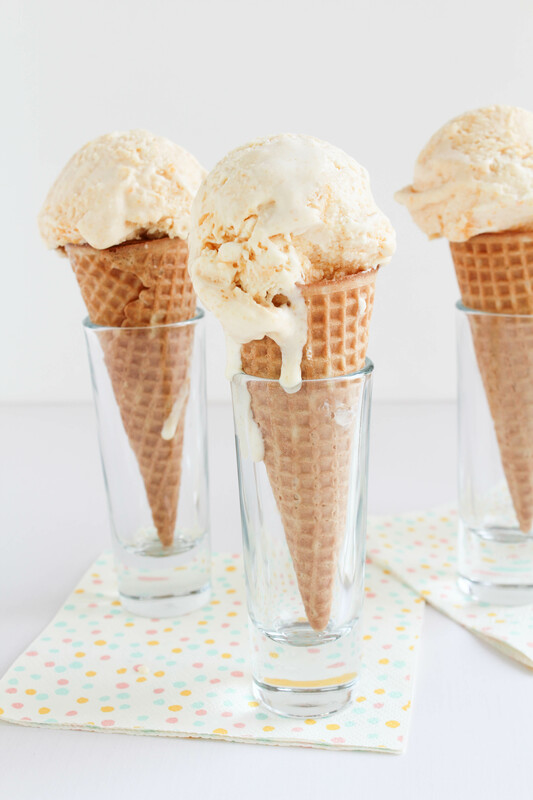 A perfect summer treat! Using an emulsion blender or a food processor, blend your chopped peaches until smooth. Set aside. Pour your heavy whipping cream into a separate bowl. Using a hand mixer, whip until thick and heavy peaks have formed. Pour the can of condensed milk into the whipping cream mixture and add your blended peaches. Using your mixer again, mix until the combination is completely combined and thick. 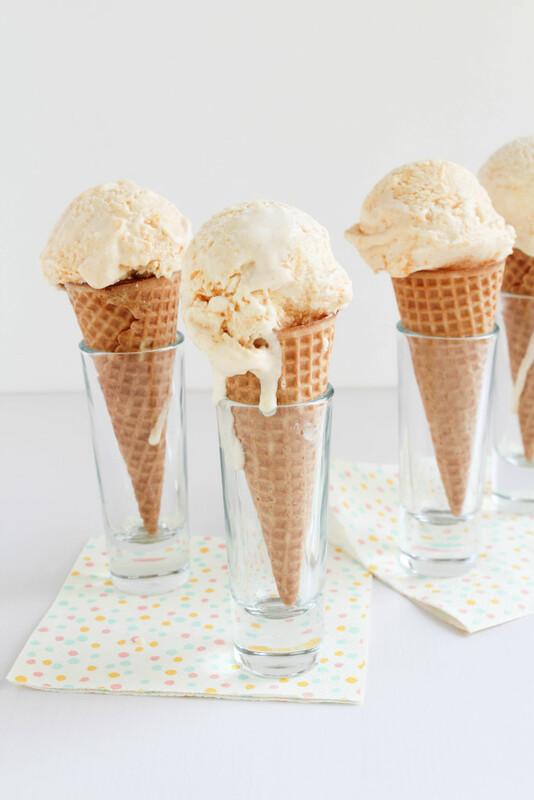 Pour into an ice cream container, loaf pan, or tupperware container. 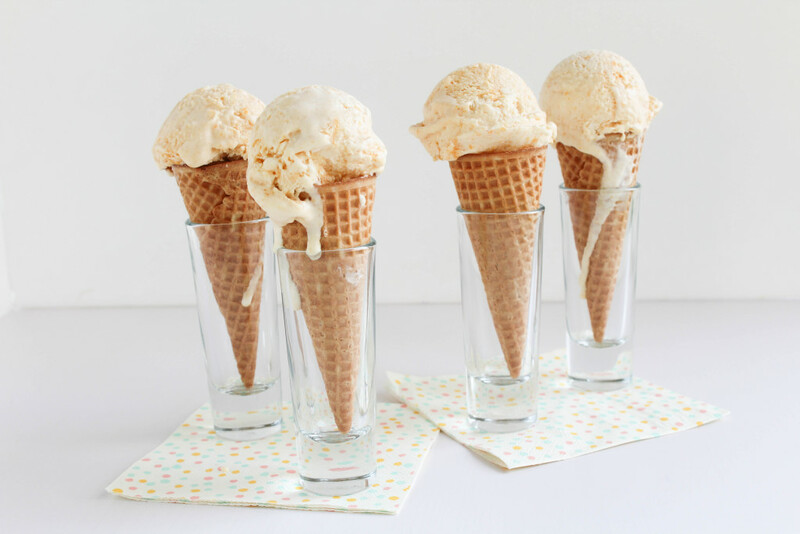 The ice cream will be ready to enjoy in just a few hours! This peaches and cream ice cream is so easy to make, takes no time at all, and is delicious! LOVE this recipe! 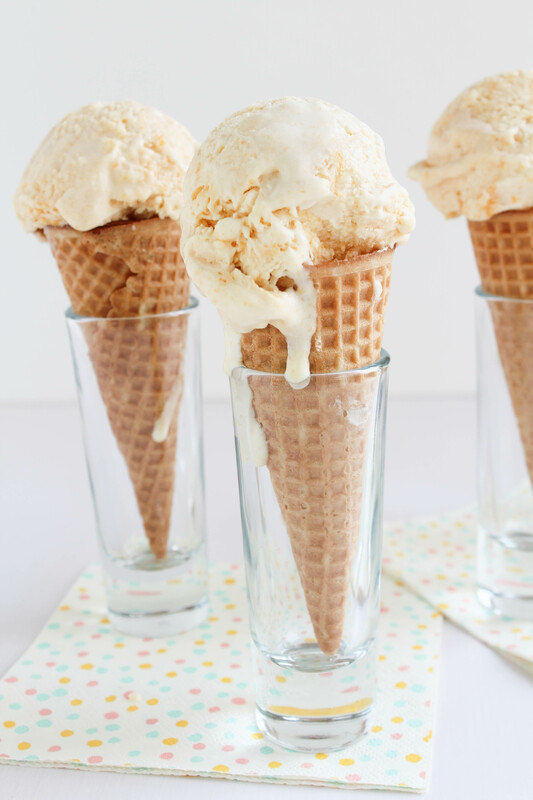 So easy, and it doesn’t require an ice cream maker. Great work as always!